This new condo(?) 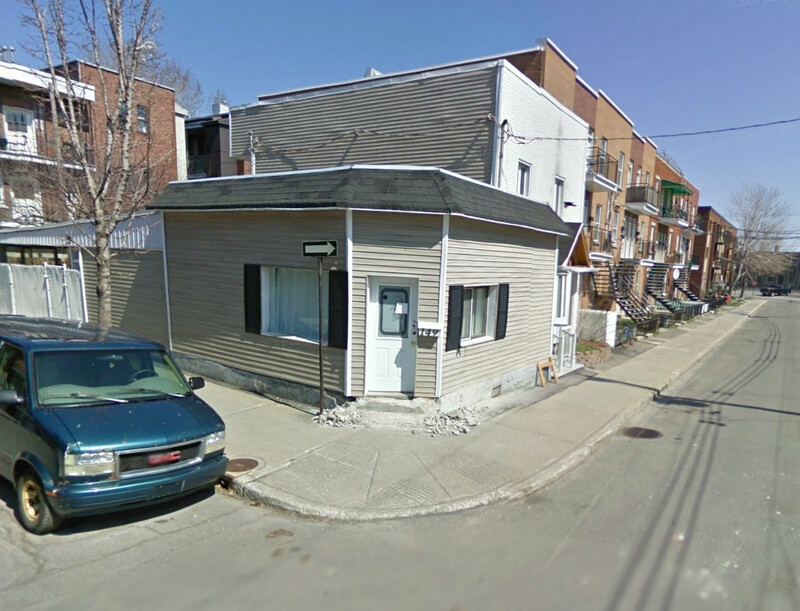 building on the corner of Delinelle and Ste-Emilie replaced the old small house as seen in the two images from Google Streetview below. I like the new building. Red bricks, it's not overwhelming the corner and it's only two storeys. The back has terraces. 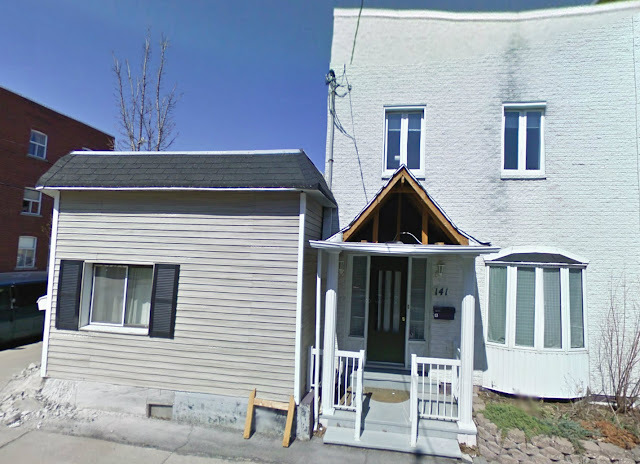 Those old small houses with siding are an endangered species. Just to give a bit of insight on the above project, House No.20. I've owned/lived there with my wife since 2005. Originally built as a small, single dwelling back in 1860, the house has seen its fair share of additions & expansions. Unfortunately, much of these additions were done hastily and not fit to endure. We chipped away at most of the repairs but eveuntally came to point where we'd needed to sell or completely rebuild. So staying true to the original foot print and presrving the original cottage, we jump in head first and rebuild the house. The building process has taken a few years but hopefully the work we've done will insure the house last for another 100 years. My wife and I still live in the house ( its not condos) and since then, we've added to little boys to our family. 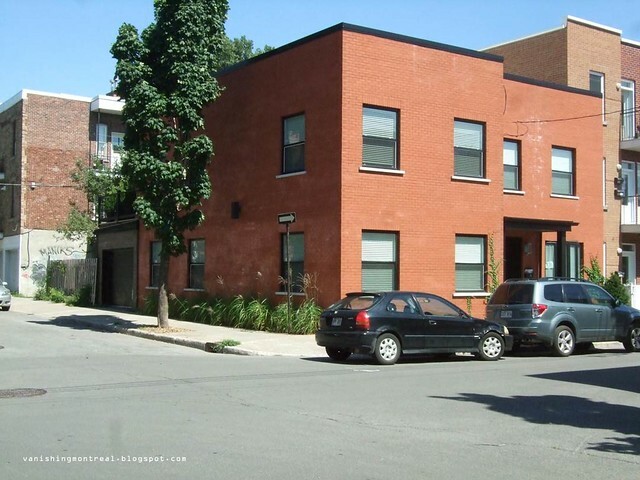 We've lived & worked neighbour for almost 20 years and proud to call St Henri home!